Insurance and wealth management agencies; and Manufacturing. Mr. Hahami has significant experience representing numerous foreign-based (including Israeli, European, Canadian and South American) and U.S.-based start-up technology companies and founders with U.S. legal matters, as well as in entering and expanding into the U.S. marketplace. He has most recently assisted in structuring transactions where founders and their companies have had significant strategic exits. Mr. Hahami often acts as outside general counsel to his clients overseeing many aspects of legal work from day-to-day general corporate, to corporate finance and acquisitions. On the technology front, Mr. Hahami collaborates with the NYC Chapter of Access Silicon Valley hosted at Phillips Lytle. He also assists in hosting the Communitech NYC landing pad for Canadian tech companies that wish to expand operations into the U.S. For the last several years, Mr. Hahami has mentored numerous founders and their companies as part of the 43North Business Plan Competition as they seek to form and structure their startups, raise venture capital and finance operations, hire employees, grow and protect their intellectual property, and otherwise increase valuations. 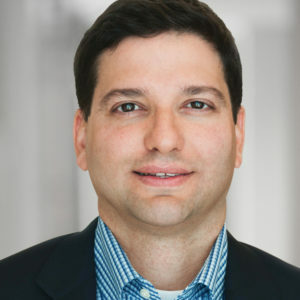 In addition to his venture capital, mergers and acquisitions, corporate finance and securities practice in the tech industry, Mr. Hahami has considerable mergers and acquisitions experience representing entrepreneurs and principals of insurance and wealth management agencies in succession planning and capitalizing their businesses. Represented a leading NYC-based telecom infrastructure provider in its merger with a northeast-based fiber provider, creating the New York region’s leading infrastructure and fiber provider, with a combined value in hundreds of millions, including the handling of negotiation of the merger agreement and related corporate transaction documents and closing. Represented the equity owners of a Mid-Atlantic and northeast wireless tower development company in its multimillion-dollar sale to a wireless infrastructure group, including leading the due diligence response and the negotiation and drafting of the purchase agreement and related corporate transaction documents, as well handling of the closing. Represented the founders of a Mid-Atlantic tower development company in its sale of the business to a leading telecommunications infrastructure provider, with a deal value in the multimillion-dollar range. Sell-side: Represented the founders of a mobile app developer and consumer engagement, analytics and brand loyalty platform company focusing on major U.S. retailers and the company itself in its merger transaction with a large publicly traded, consumer financial services bank. Sell-side: Represented the founders of a social media agency in their $150 million sale to a subsidiary of one of the world’s largest publicly traded conglomerates. Buy-side: Represented a health services and fitness company in a series of purchases of competitors, total in excess of $50 million. Sell-side: Represented a telecommunications company in its $3 million stock purchase of a new market entrant. Buy-side: Represented principals of New York-based, West Coast-based and Mid-Atlantic-based agencies in over $37 million equity purchases of competitor insurance agency and wealth management businesses. Represented a mobile platform company in its multi-million dollar Series B financing round. Represented a technology company in its multi-million dollar Series A investment by a major fund. Represented a healthcare company in its multi-million dollar Series B financing round that included funds and private placements. Represented a technology startup in its $2.3 million private placement of shares and warrants to accredited investors. Represented a NYC-based WiFi service company in its multimillion-dollar investment by telecom investors. Represented a mobile platform company in its multiple venture debt / venture lending transactions with a major West Coast-based venture lender. Represented a SaaS company in its venture lending deals with Silicon Valley Bank. Represented various special purpose vehicle entities in their lending transactions with the lending arm affiliate of a major institutional insurance provider. Represented a life science company in the preparation of its Form S-1 Registration Statement. Represented an Israeli-based healthcare technology company in its 20-F, F-2, 6-K and proxy statement filings. Represented two NY-based real estate funds in their crowdsourcing and private placement capital raise. Represented a technology company in multiple LLC operating agreements, service agreements, software license agreements, employment agreements and general corporate matters. Represented a mobile company in various general corporate governance issues (e.g., board of directors issues) and in intellectual property matters (licensing and data privacy issues). Represented a technology company in its service agreements with over 30 major U.S. retailers. Represented an Israeli and U.S.-based mobile app company with its joint development and licensing agreements with its U.S. based manufacturer, with two major academic and medical research institutions, and with the U.S.-Israel BIRD Foundation. Represented a Latin American company in entering and expanding its operations into the U.S. marketplace. Represented a gaming company with its service contracts and executive employment agreements. Represented an athletic robotics and artificial intelligence company with its corporate conversion and its agreements with a major research university.